An exciting match – RC Passion Mini 1:10 Fun Race had been completed successfully in Brunei, 10th Feb 2019. rcMart sponsored driver – Ashabirin Suhaili got the Top qualifier and A-main champion with ABC Hobby 1/10 Grande Gambado Naked Basic. Wow, it is a good result for a driver. Let’s us check out the highlight of this event and the spec of the winner car! Congrats Ashabirin Suhaili(G Birin) got the Top qualifier and A-main champion with ABC Hobby Gambado. Let’s check out his car now! Don’t miss the latest car from ABC Hobby! The Gambado NAKED rcMart Limited CFRP Ver. 2019 is a high-performance Front Wheel Drive M chassis that will bring excitement to both hobbyist and racer. 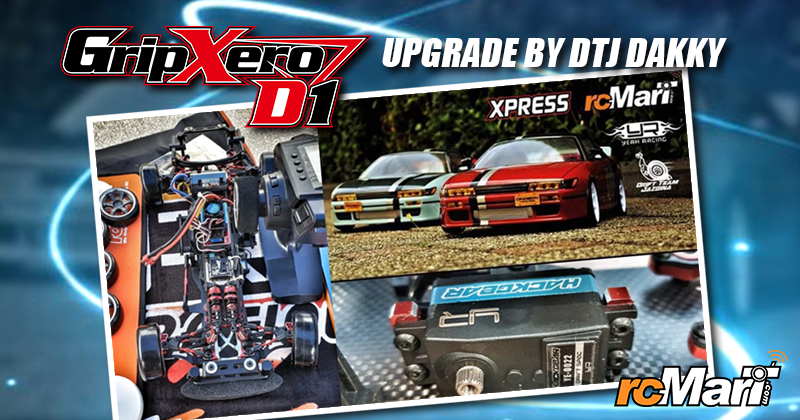 The design and engineering put into this chassis promote performance and durability of the Gambado, Full Ball bearings, Universal Shafts, Hex hardware, CFRP chassis that can accommodate the latest 7.4V Lipo Batteries with the low center of gravity design layout all come as standard with this car kit.